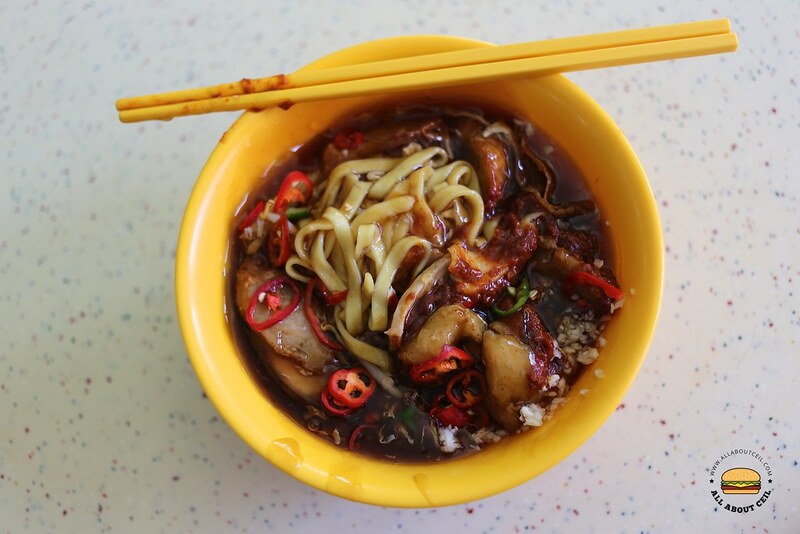 There are 2 stalls serving Lor Mee in this food centre and both are equally popular. This one is serving a traditional Lor Mee with the usual ingredients and the other is focusing more on fried shark fish nuggets. 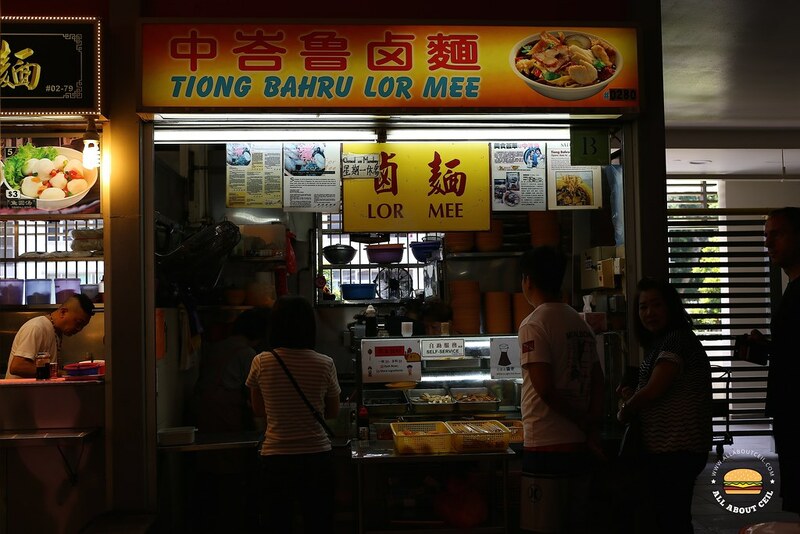 Apparently, both stalls are not the original stalls from the Seng Poh Road Market that was demolished in 2004. 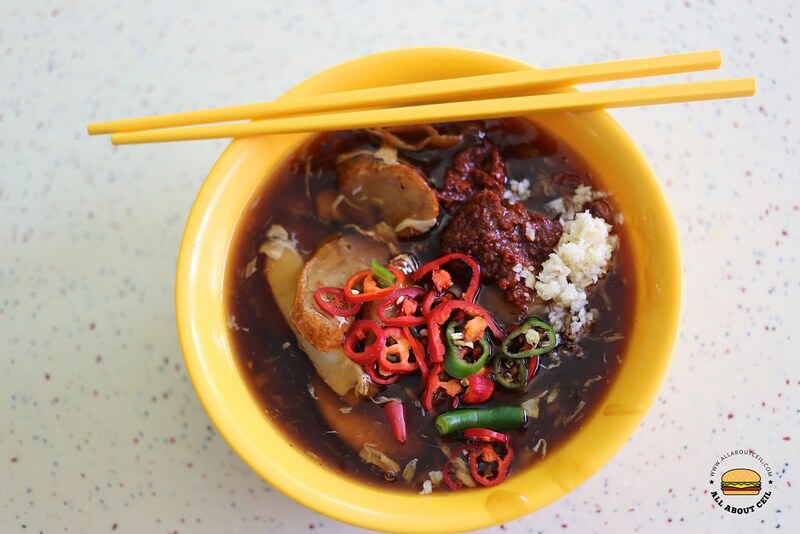 The 2 original stalls that used to be there were moved out, one of them is currently at Bukit Batok and the other has already ceased operation. It was a Saturday when I went for lunch. This was the only option as the other stall was closed on that day. It was located at the corner and you might not get to see the queue from far. There are 3 sizes available, the smallest one at $3 then followed by $4 and the largest portion is at $5. I told the Auntie, "The $4 portion with extra ingredients." She replied, "so the $5 portion la." It came with a substantial portion of flat yellow noodles in flavorful gooey gravy with ingredients like slices of fishcake and ngor hiang, fried fish nuggets, stewed pork belly and braised egg, serving with sambal chill, red/green chopped chillies, and minced garlic. Overall, it was not too bad though not amongst my top 3 choices.